Upper Darby Summer Stage is back with another delightful season of shows and this summer is kicking off with “The Musical Adventures of Flat Stanley Jr”! Beat the heat as you gather up the kids, grab your tickets and head over to Upper Darby Performing Arts Center for a show that is sure to be perfect for the whole family! 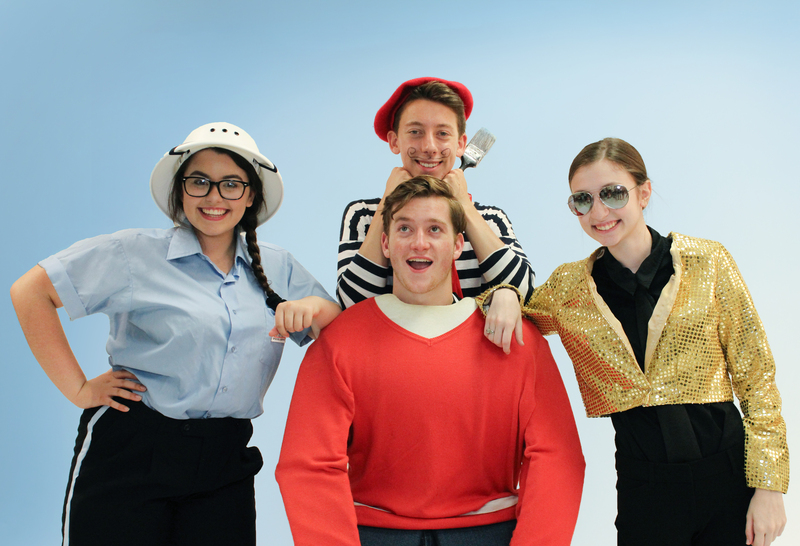 Upper Darby Summer Stage kicks off its 43rd season with “The Musical Adventures of Flat Stanley, Jr.” Based on the beloved children’s book written by Jeff Brown, the musical tells the story of Stanley Lambchop, everyone’s favorite two-dimensional hero. Featuring infectious songs and non-stop adventure, this production is a perfect introduction to the magic of theater. Performances are July 3, 5, and 6 at 10:30 am and on July 5 at 7:30 pm at the Upper Darby Performing Arts Center. Stanley Lambchop (Jack Williamson of Boothwyn) is an ordinary boy seeking adventure and a change from normal life. After wishing on a shooting star, Stanley’s bulletin board falls on him making him flat as a pancake. This gives him the opportunity to easily travel the world in an envelope. Throughout his travels, he meets the mail carrier, Mrs. Cartero (Audrey Shaw of Drexel Hill), the Hollywood Agent (Samantha Gregori of Havertown), and in France meets O’Jay D’ Art (Tommy Barnes of Havertown). In the end, Stanley realizes how much he misses his family and friends and learns that heroes can be any shape or size. Travel around the world with your favorite flat friend! Free babysitting is available in the lobby offered for those who may be too young to sit quietly through the entire show. A Summer Stage show is a unique experience. Young audience members are invited to come early to performances to participate in fun pre-show activities and stay after the show to meet cast members. Autographs and pictures are encouraged! For more information about “The Musical Adventures of Flat Stanley, Jr.” and Upper Darby Summer Stage’s 43rd season visit udpac.org. Win a family four pack for “The Musical Adventures of Flat Stanley, Jr.” at Upper Darby Summer Stage! Enjoy everyone’s favorite two-dimensional hero who has a new life on the stage! Filled with infectious songs and non-stop adventure, Flat Stanley Jr. is a perfect show to introduce your family to the magic of live theatre! Tickets are for Tuesday morning, July 3, 2018 at 10:30am . To enter, please enter via the easy Rafflecopter below. Feel free to complete one step on the Rafflecopter (free entry) or as many as you like for additional entries. Winner will be chosen on Friday June 29th at 12 AM. Good Luck! My kids love Summer Stage! We already have our tickets for The Little Mermaid Jr! Really need some Hannah time. Miss her so much! This would be a great time spent together. Thanks for the chance.